Steam distilled calamus root essential oil from Nepal. Also known as: Sweet Cinnamon, Sweet Flag, Sweet Myrtle and Sweet Root. Species: Acorus calamus L. Family: Araceae. Class: Ketone. 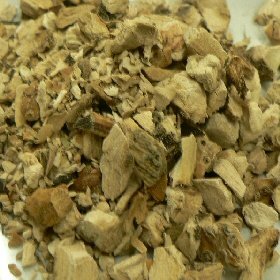 Aeracuras' calamus root essential oil from Nepal has a sweet, woody aroma. Aromatherapy uses include: Regulating blood pressure through dilation of spleen blood vessels, as a remedy for hangovers, perfume, and wine flavoring. Here is an article: Sweet Flag.